Okay, we have 3 events in a row. Check the period very carefully, because each is held only for 3 days. which no one has won so far. 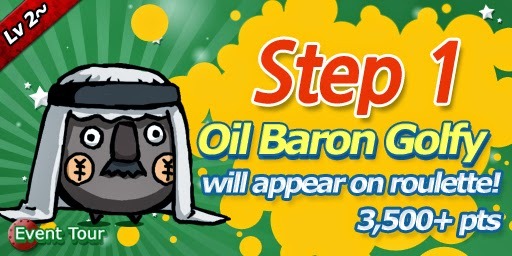 Get 3,500 points and win Oil Baron Golfy from the roulette! Winner's prize is Muramasa's Golf Club Set. All birdie prize is 1 Bound Ball. 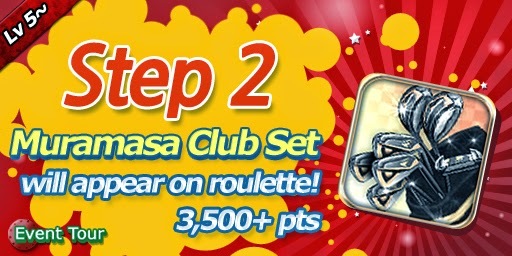 Get 3,500 points and win Muramasa's Golf Club Set from the roulette! Winner's prize is Angel's Golf Club Set. All birdie prize is 5 Slime Ball. 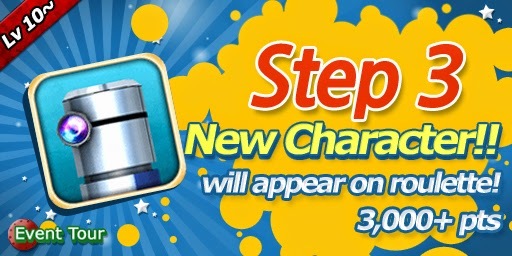 Get 3,500 points and win Robot Loop No. 1 from the roulette! Winner's prize is Devil's Golf Club Set. All birdie prize is 1 Teeflower.